Dimensions: 8-1/2 x 11 in. 40 pages. Full color throughout. For ages 3-8. Hardcover. Learning about space has never been so much fun! An out-of-this-world mix of vintage illustrations and contemporary photos makes this book about space as entertaining to look at as it is to read. 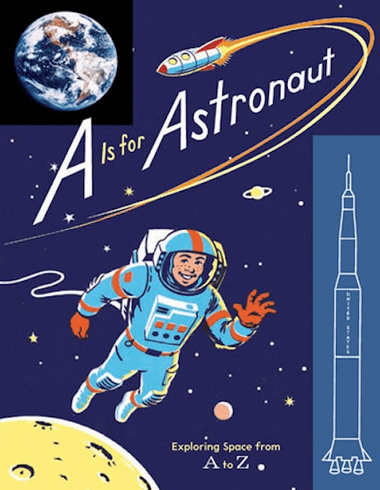 With simple information about everything from the planets to animals in space, to the food astronauts eat, A Is for Astronaut is sure to excite young readers' natural curiosity and imagination.